A team of Masters students from the Melbourne School of Design have won the 2019 CoreNet Global Academic Challenge 4.0 in Hong Kong. The Faculty of Architecture Building and Planning has an ever-growing relationship with China, particularly Shanghai, which includes annual travelling studios, a partnership with Tongji University and a healthy community of alumni living and working in the region. The second leg of the BE—150 international launch saw Professor Julie Willis, Dean of the Faculty of Architecture, Building and Planning farewell our alumni in Hong Kong and start the journey on to Shanghai. With nearly 400 alumni living or working in the territory of Hong Kong, the Faculty of Architecture, Building and Planning has a significant network active within the region. For the international launch of BE­—150, Professor Julie Willis, Dean of the Faculty travelled to Hong Kong alongside several colleagues to highlight and celebrate this connection. During the second half of 2018 the Tongji University College of Architecture and Urban Planning ran an international design summer school focusing on Architectural History and Conservation, specifically rehabilitating built heritage in the water town of Nanxun. The Melbourne School of Design sponsored Master of Urban and Cultural Heritage students Gloryrose Dy and Paula Yanez Espinosa to attend. As part of Melbourne Design Week, the National Gallery of Victoria ran the ‘Victorian Design Challenge’, inviting design professionals and students to tackle the challenge of ‘waste’. This culminated on Tuesday March 19 with the team behind ‘Curvecrete’ live pitching their invention in the Great Hall of the NGV for a $15,000.00 prize in the Waste Challenge final. The University of Melbourne launches the BE-150 Program, celebrating 150 years of built environment education. For three days in late January, 24 designers and academics from across Asia convened in Beijing to discuss the possibilities of a contemporary Asian landscape architecture practice. Studio 19 uses cutting-edge technology to reveal the hidden collections of the museum world. Studio 19 IMAGING – A Museum Made Digital saw students mastering a range of technologies to open up the world of galleries, libraries, archives and museums (GLAM) to a universal audience. We caught up with studio leader Ben Waters to find out how the studio evolved from concept to real, and what impact it had on The Ian Potter Museum of Art and the students who undertook it. During her visit to the Melbourne School of Design for the Dean’s Lecture Series in October, Alison Brooks, Principal and Creative Director of Alison Brooks Architects, sat down with Professor Donald Bates to discuss her career beginnings, philosophy, and her award-winning works. A number of Faculty of Architecture, Building and Planning alumni and their projects won awards and commendations at the recent 2018 National Architecture Awards held on November 1st. The Indigenous Design – Past | Present | Future symposium in July brought together local and international design practitioners to explore the role of Indigenous design. Mphethi Morojele, owner and founder of MMA Design Studio in South Africa, presented the signature keynote lecture. London-based artist, designer and consultant Adam Peacock has been awarded the 2018 Robert Garland Treseder Fellowship. A team of MSD students were shortlisted among working architects and international design students in the Sydney Affordable Housing Challenge. We are now inviting exhibition proposals for 4-6-week exhibition slots in our 2019 exhibition program. Proposals are sought to exhibit in spaces within the MSD building. A Melbourne School of Design studio and a project designed by architect and lecturer Jefa Greenaway form part of the Australian Pavilion at the International Architecture Biennale in Venice. The winners of the 2018 Victorian Architecture Awards include a number of studios affiliated with Melbourne School of Design alumni. 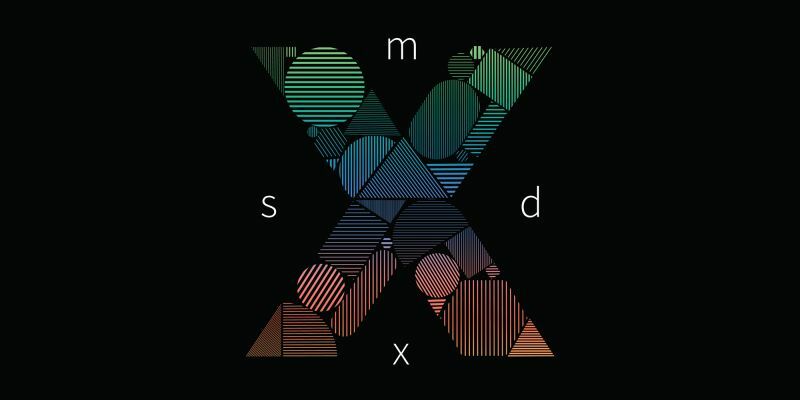 Melbourne School of Design welcomed hundreds of guests to celebrate the opening of the latest MSDx last week. Building Connections: Schools as Community Hubs is a new ARC Linkage Project that will generate new knowledge to plan, design, govern and manage school facilities and infrastructure, enabling schools to be maximised as ‘community hubs’. Melbourne School of Design celebrated students’ outstanding academic achievements during 2017 at the Dean’s Honours Awards on 15 May. New research finds that people are willing to pay more for energy efficient housing, making the case for a mandatory national rating system for existing homes. 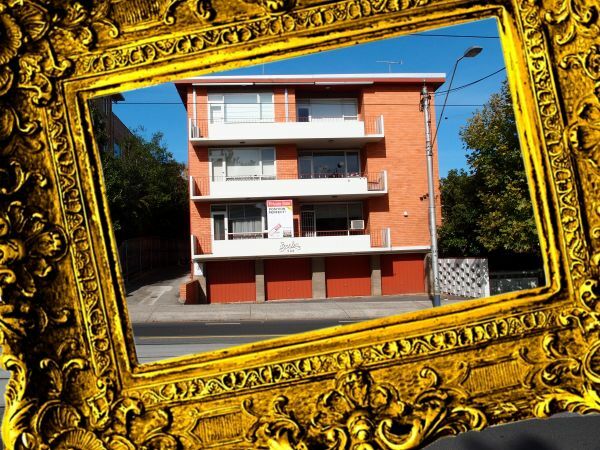 Difficult personal circumstance should not prevent anyone from completing a Melbourne education. Will you give a gift today to ensure our students can fulfil their potential and pursue rewarding careers? The University of Melbourne and Harvard University are proud to announce the appointment of Professor Philip Goad as the Gough Whitlam and Malcolm Fraser Chair in Australian Studies for the 2019-2020 academic year. The Faculty of Architecture, Building and Planning celebrated the outstanding academic achievements of undergraduate students at the Dean's Honours Awards. A group of 16 undergraduate students travelled to the Indian city Vijayawada in January to take part in the Humanitarian Design Internship. The Faculty of Architecture, Building and Planning enjoyed a year of increasing collaboration and interchange with Tongji University in 2017. After making an international engineering career at global multinational Arup, Enterprise Professor Brendon McNiven is shaping our architectural engineering curriculum. Melbourne School of Design is home to a new maker space: the New Experimental Technology Lab (NExT Lab). As part of the Bushfire the Natural Hazards CRC Research Project Urban Planning for Natural Hazard Mitigation, the University of Melbourne together is offering a scholarship to support a PhD candidate under the supervision of Associate Professor Alan March within the Melbourne School of Design. Applications close Tuesday 30 January 2018. Student Sarah Mair reflects on the 'House of Ideas' exhibition at the Walsh Street Boyd House. 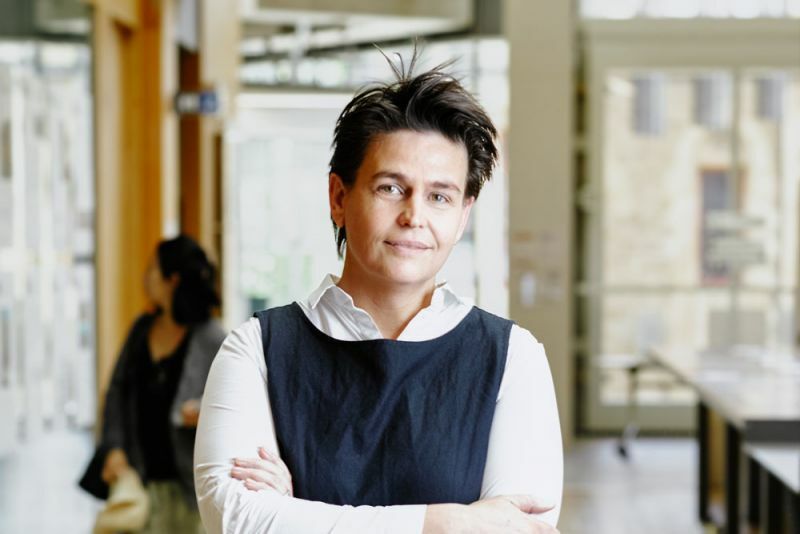 Christine Wamsler (Professor of Sustainability Science, Lund University) visited the Faculty of Architecture, Building and Planning at the University of Melbourne in October as part of the Dean’s Lecture Series (watch her lecture here). She sat down with Alan March (Associate Professor of Urban Planning, University of Melbourne) to discuss the role planning has to play with regard to climate risk reduction and creating a more resilient future. University of Melbourne Architecture alumnus Dylan Brady is currently exhibiting his journey through architecture in a series of sketches in our Dulux Gallery. Professor Donald Bates spoke to Dylan about his career for the Australian Institute of Architects. Master of Architecture student Morgan Doty has won the Melbourne Fringe Furniture exhibition prizes for the “Sustainability” and “Student” categories for her piece: the CMYK chair. The transport sector plays a key role in achieving the United Nations’ Sustainable Development Goal #11 regarding making cities more inclusive, safe, resilient and sustainable. The Australian Centre for Architectural History, Urban and Cultural Heritage (ACAHUCH) officially launched as a research centre on 5 September 2017 with the Vice-Chancellor Glyn Davis and Deputy Vice-Chancellor (Research) Jim McCluskey in attendance. Construction management students Ian Alcazar, Liam Nuttall, Matt Thompson and James Miller travelled to Hong Kong recently to represent the University of Melbourne at the CIOB Global Student Challenge Finals, accompanied by Dr. Paolo Vaz Serra. 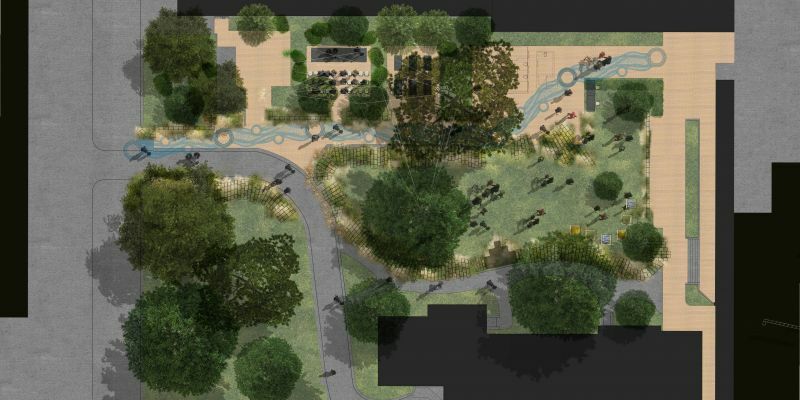 MSD Students Chao Feng, Derek Huynh and Matko Matkovic have won First Place in the 2017 Melbourne’s Backyard Ideas Competition organised by the Future Focus Group of the Committee for Melbourne for their submission: “Connecting City Square”. Tommy Heng moved from Malaysia to Melbourne and graduated from the Bachelor of Environments (2011-2013) and the Master of Architecture (2015-2016) at the Melbourne School of Design within the University of Melbourne. He was winner of the 2017 Victorian Graduate Prize awarded by the Australian Institute of Architects, providing recognition and encouragement for graduates embarking on their professional careers. Currently, Tommy is working full-time at Lyons Architecture in Melbourne, where we interviewed him to catch-up on his reflections on his University of Melbourne experience and transitioning into full-time work. In Papua New Guinea, the issue of sanitation remains prevalent. It is estimated that there are still 154,000 households (860,000 people and 13% of the population) who do not have access to any form of sanitation in rural areas. We recently caught up with alumnus Pe-Yang Teng to find out what he’s been up to over the last few years, how his career has progressed and what he remembers about life as an Architecture, Building and Planning student. James Billson graduated with a Bachelor of Building in 1988 in the footsteps of his grandfather Edward Billson, the first ever Architect graduate from the University. After starting his career with builder L.U Simon, he worked with Lewis Constructions on the Melbourne Central project with the redevelopment of the Shot Tower until moving to London. Tarkett, a global leader in sustainable flooring, has collaborated with the University of Melbourne to offer for the first time an award to recognise the creativity and social conscience of design students in Victoria. In just thirty years, the bicycle, once the transport of choice for up to 523 million people in China, has become a relic of the past. From the 1970s, though until the early 1990s, bicycles offered mobility, comfort and prestige, making China internationally famous as the ‘Kingdom of Bicycles’. MSD PhD student Alessandro Liuti completed the construction of AIRSHELL, the first timber gridshell structure ever formed by means of a pneumatic formwork. As part of the Centre for Advanced Manufacturing of Prefabricated Housing (CAMP.H), the University of Melbourne together with Amoveo is offering a scholarship to support a PhD candidate under the supervision of Associate Professor Robert Crawford within the Melbourne School of Design, and in collaboration with the Melbourne School of Engineering. A new student exchange agreement with Tongji University, Shanghai, China was signed this month by the Dean of Faculty, Professor Julie Willis. This year’s Architecture Biennale in Venice has closed, with record attendance at the most popular Australian exhibition yet. 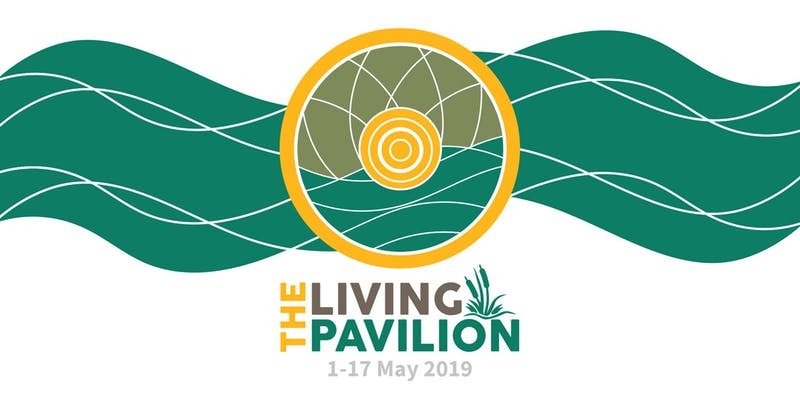 The Denton Corker Marshall designed Australian Pavilion hosted its first architecture biennale, raising the prominence of the Australian exhibition: The Pool – Architecture, Culture and Identity in Australia. In September 2016 eleven of our Masters students from both Architecture and Urban Design packed their bags and set off to the Netherlands for the experience of a lifetime. We join the University community in congratulating the fine scholars who have been promoted in 2016. Lessons from the graduate design studio Rail UP! Call for Abstracts and Papers: Inflection vol. 4 examines the theme of Permanence within the discipline of architecture. Held on Friday 4th November, the 2016 Planning Institute of Australia’s National Awards for Planning Excellence recognised the exceptional contribution to planning made by Associate Professor Alan March, Professor Carolyn Whitzman and PhD student Claire Boulange. MSD's Carolyn Whitzman and Andre Stephan describe what it's really like on the ground at Habitat III. Two years in the making, the Wave Hill Walk-off project has brought together six designers, 12 students, eight labourers and the Gurindji people of Kalkarindji and Daguragu to give physical form to the birth of Australia’s Indigenous land rights movement. The University of Melbourne and City of Melbourne have announced internationally recognised scholar, Professor Lars Coenen, as the inaugural Chair in Resilient Cities. Our Dean, Daryl Le Grew, remembers Stephen Ashton of ARM Architecture. Andrew Murray and Hannah Lewi are crowdsourcing history through their PastPort mobile app, part of a new vanguard of citizen historians' use of tech. 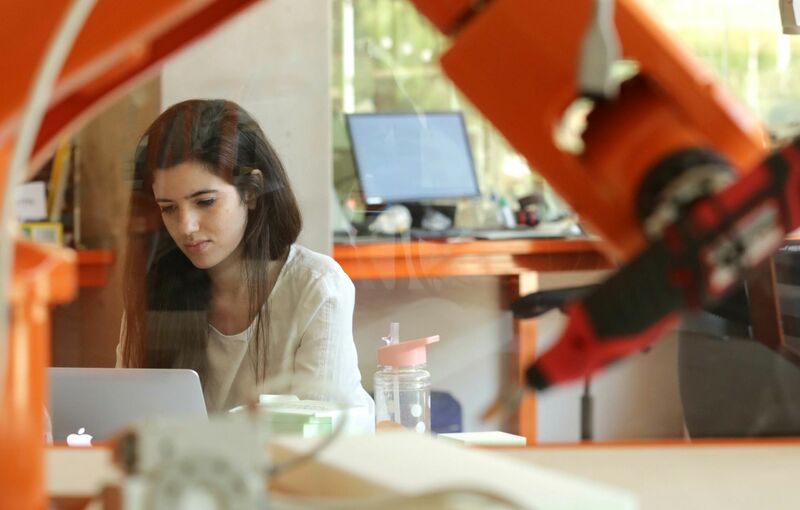 The University of Melbourne has announced a new undergraduate degree that will equip students with the design thinking and creative processes to tackle complex problems. In February 2016, 16 Melbourne School of Design students travelled to the other side of the world as part of the Brazil Travelling Studio 2016. This July the Melbourne School of Design will bring together architectural historians and scholars from our region for a series of workshops, plenaries and conference events. A re-evaluation of a seminal work on urban density forms the basis of an MSD exhibition at the 2016 Venice Biennale. We farewell one of our great architects, Romaldo Giurgola. MSD's new Vocational Placement Subject offers a Masters student the perfect start to her career. World-renowned architect Jean Nouvel appeared in an intimate conversation with publisher Andrew Mackenzie and Dean of the Faculty of Architecture, Building and Planning Professor Daryl Le Grew. Can good design create healing, both for our environment and our communities? MSD staff and student initiatives are uncovering the possibilities. 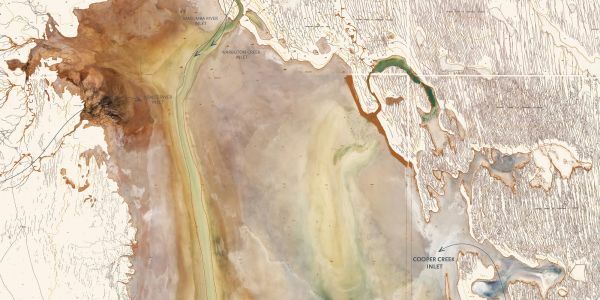 Melbourne School of Design Lecturer and studio leader Paul Loh, together with studio leader David Leggett and alumna Amanda Ngieng, have won the The Hooke Park Wakeford Hall Ideas Competition with their entry titled Technological and Ecological Permeability. 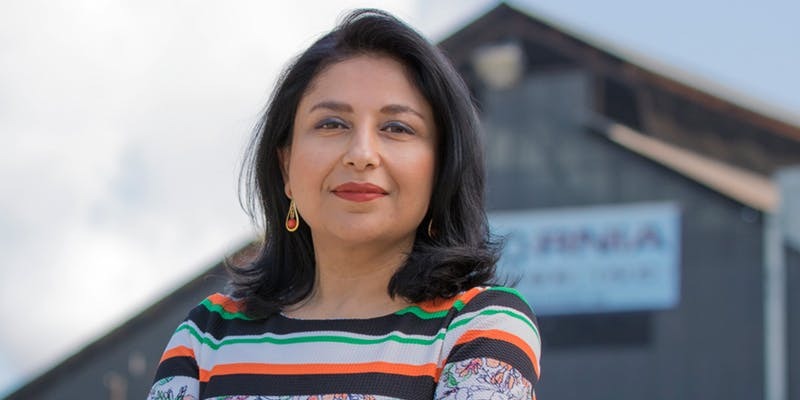 Congratulations to alumna Targol Khorram, who has been appointed the 2016 President of Architects for Peace. Online tutorials for the studio subject 'How Virtual Becomes Real' are now openly accessible. The Melbourne School of Design recently became the Founding Corporate Partner of Indigenous Architecture and Design Victoria (IADV). The Melbourne School of Design launched its new online building tour, Explore MSD. Graduate students from the Melbourne School of Design completed an intensive workshop that combined digital design and modern building materials with ancient construction techniques to assemble a timber gridshell with a footprint of 50m². The structure is now on exhibit on Union Lawn. Melbourne: What Next? A discussion on creating a better future for Melbourne is now available to download. The e-book, featuring peer-reviewed chapters written by leading academics, is edited by Professor Carolyn Whitzman, Professor Brendan Gleeson, and Master of Urban Planning Student, Alexander Sheko, and is published by The University of Melbourne Sustainable Society Institute and Social Equity Institute. The Bower Studio was highlighted by World Architects eMagazine as one of the top 10 design/ build programs making a difference. The Holcim Awards is a global competition that recognizes innovative projects and future-oriented concepts on regional and international levels. The competition, conducted by the Holcim Foundation, seeks projects that expand conventional notions about sustainable building and also balance environmental, social and economic performance. Projects must also exemplify architectural excellence and a high degree of transferability. A total of USD 2 million in prize money is awarded in each three-year cycle. The late George Tibbits was one of many colourful “renaissance” men to have worked at this Faculty over the years. George was a noted architectural historian, who produced (among other works) a study of campus architecture written with Philip Goad and published in 2003, now sadly out of print. He was a leading light in the 70s and 80s campaign to save Carlton, thanks to whose efforts many splendid streetscapes were preserved. Visiting Melbourne to present a public lecture as part of the Melbourne School of Design Director's Series and a free public lecture co-hosted by ABP, MSSI and MSLE, Senoir Research Fellow at Harvard Graduate School of Design, met with Peter Mares for a special edition of Up Close. Timothy Stats graduated from the University of Melbourne in 2004 with a Bachelor of Planning and Design and a Bachelor of Architecture. He has returned to the University community this year to undertake a Master of Construction Management. We caught up with Timothy to find out where his career has taken him so far…and the answer – all over the world. An eager bus load departed the University of Melbourne on Saturday 5th of October, but it wasn't filled with students off on a travelling studio or field trip. This bus was filled with some of the leading minds in Australia's built environment. ABP's advancement team, led by Judy Turner, welcomed 17 Faculty Alumni and supporters, and with the assistance of Associate Professor Jeffrey Turnbull and Professor Philip Goad, brought them on a tour of some of the most spectacular buildings and spaces in Melbourne. A stunning example of vernacular Chinese architecture has found a new home in the landscaped grounds of Malvern Primary School in eastern Melbourne. Congratulations to Alan March on his recent Planning Excellence Award for Cutting Edge Research and Teaching, awarded to Alan for his book, The Democratic Plan: Analysis and Diagnosis. As part of the Festival of Ideas, ABP ran a student competition calling for a video considering the idea of a 20-Minute City. Following Alan Dilani's lecture as part of the ABP Agenda series, Alan Pert reviewed the event and gave us his insights into Health Architecture in an opinion article for Australian Design Review. Watch Melbourne School of Design students learn from award-winning architects Bates Smart - a multidisciplinary design firm delivering architecture, interior design, urban design and strategic services. Bates Smart is one of the oldest firms in Melbourne. Meet Nancy, MSD student and Digital Fabrication Technician. She’s got some exciting news for new Bachelor of Design students about making your own VR and AR at the NExT Lab. The Faculty of Architecture, Building and Planning educates and activates the next generation of built environment thinkers and practitioners. Our multidisciplinary approach prepares students to advance into the world as leading, adaptable professionals in their fields. The Bachelor of Design offers unique flexibility with the option of completing majors, minors, double majors and specialisations. You can combine in-depth study in a particular area with subjects from a wide range of disciplines within the field of design. Melbourne School of Design has an international reputation for excellence in graduate research. 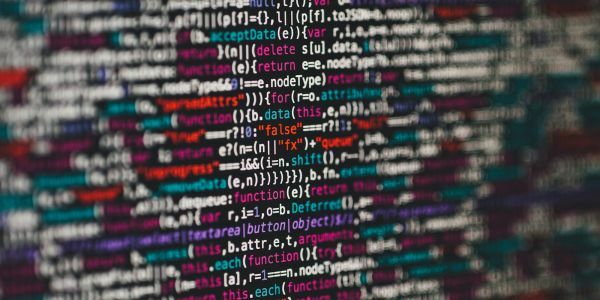 Our researchers are experienced scholars, leading debate and engaging with industry, policy-makers and the community towards real-world outcomes. Dale has always had a creative and a practical side, so majoring in Civil Systems in the Bachelor of Design was a natural fit. Through design, Dale aims to create innovative transport and infrastructure solutions to ensure a sustainable future for our cities. Tao Wang’s experience growing up in Shenzhen inspired him to pursue studies in landscape architecture. Now completing his postgraduate degree, we caught up with him to hear about his experiences so far. For Celeste Orange, property and valuations are her passion. She completed her studies whilst juggling work and a young family. Now working full time in the property industry, she has just won the 2018 Municipal Group of Valuers (MGV) emerging leader award. Studio leader and founder of Siii Projects Ben Waters explains how his studio is bringing ancient artefacts into the virtual world and revealing our museum's hidden collections. Claudia Lombard was drawn to studying at Melbourne School of Design as a place to explore her social and environmental interests, alongside design. The Fisht Stadium in Sochi staged major global events during the 2014 Winter Olympic Games and the 2018 FIFA World Cup.For architecture alumnus Damon Lavelle, Principal at Populous, London, the project was the culmination of the practice’s work in Russia.It is one of many venues – in locations across Europe, Australia, the middle east, Africa and central Asia – Mr Lavelle has worked on in more than 20 years in the field. Claire Woodward was studying her first year of the Bachelor of Design when she landed her first job in the construction sector. We caught up with her to learn about her experiences so far and to find out her tips for balancing study and work. From spending a semester abroad at Tongji University, to reaching the finalist stage of a design competition, Lindy Huang has made the most of opportunities in her final year of undergraduate studies. Tony Luo recently started at the Victorian Planning Authority as a Student Planner, after finishing his undergraduate studies in urban planning at Melbourne. He believes it has boundless opportunities to build positive urban outcomes for all communities and neighbourhoods and shared with us his student experience. Leelee was always in creative endeavours in high school, so she decided to study the Bachelor of Design. Read her story. Did you know that the Bachelor of Design offers a pathway into a number of areas in Engineering? Spatial Systems student John Darwin Oanes shares his experience so far. First year Bachelor of Design student Nora Tal received the DELWP Diversity and Inclusion Scholarship for 2018. We caught up with her to find out how urban planning inspires her and what her experience studying the Bachelor of Design has been like so far. Nancy (Nan) Ma reflects on her time studying at the Melbourne School of Design, and what inspired her to pursue an international career in research which has led her to undertake her PhD at the University of Pennsylvania in the United States of America. James Urlini was initially thinking about studying a Bachelor of Fine Arts, but after speaking with his school's career advisors and researching different courses, he chose to take the leap and apply for the Bachelor of Design and major in graphic design. He spoke to us about his student experience so far. The Melbourne School of Design's newest qualification, the Graduate Certificate in Environmental Design, will be taught from 2019 onwards. We recently caught up with Dr André Stephan, coordinator of the GCED programme, to find out just how important it is for environmental design to be at the heart of all built environment disciplines in this day and age, and going forward. Alumnus Stephen Yuen featured in this year's program for The Mental Health Services Conference in Adelaide, presenting his Master of Architecture thesis on the potential of virtual reality for therapeutic support. Beijing is a modern city steeped in tradition that is now leaping into the cutting-edge of architecture. MSD Master of Architecture student Adrian Dong recently completed a four month internship with MAD Architects in their headquarters in China’s capital. He shared his experience with us there. Many of us dream of living and working in New York. Earlier this year, Robert A.M. Stern Architects offered an internship, organized by RAMSA Partner and University of Melbourne alumnus Grant F. Marani, for a student from Melbourne to undertake ten weeks of paid work in their office in Midtown Manhattan.One of 24 interns and the only Australian, Master of Architecture student Hannah Puckey was this year’s successful candidate. We caught up with her when she returned to learn more about her experience. Bona Lee relocated to Melbourne from Brisbane earlier this year to start her Bachelor of Design at the University of Melbourne. We caught up with her to ask about her first year experience with us. Recent graduate Jeff Davies reports back from his burgeoning career in the property industry. We recently chatted with 2018 Master of Architecture graduate Derek Huynh about how his career has progressed since finishing uni, and what advice he has for those thinking about studying design. Matthew Oates moved from Lismore in northern NSW to Melbourne for the Bachelor of Design at the start of 2018. He’s pursuing a double major in Landscape Architecture and Property, and sat down with us recently to share his experience. Your first year at university is often the toughest. Adjusting to new-found independence and being surrounded by so many people can be overwhelming, but it is also a time full of opportunity. Enter Felicity Karakiklas, a Bachelor of Design student who just finished her first year and shared with us her tips for nailing university. Shruti Baporikar moved to Melbourne to pursue a Master of Construction Management after studying Architectural Design as an undergraduate student in Mumbai. We asked Shruti to share some of her experiences so far. Often plans change after you start a course. For Lochlan Todd, originally from Launceston, starting work in the construction industry led him to switch majors within the Bachelor of Design. He sat down with us to share more. 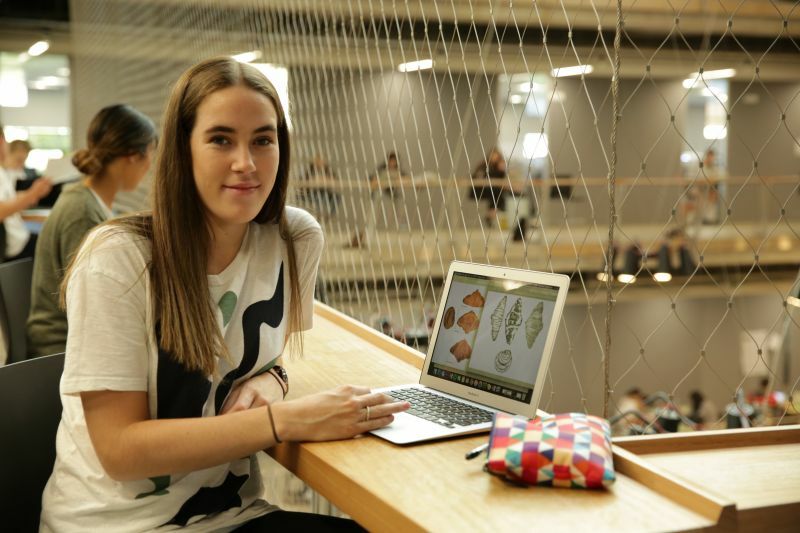 Claire Woodward took a year off after high school and travelled to Canada before deciding to pursue the Bachelor of Design at The University of Melbourne. She recently shared her first year experience with us. Charlie Rosanove made the move from Sydney last year to study the Bachelor of Design at The University of Melbourne. He sat down with us to share his first year experience. Charlotte Miller moved from Brisbane to study the Bachelor of Environments and is now in her second year of the Master of Urban Design. We caught up with Charlotte to hear about her experiences. Iris Fong developed a longing for green space while growing up in Hong Kong. Her passion for nature and geography led her through the Bachelor of Environments to the Master of Landscape Architecture. We caught up with Iris, now in her final year, to hear about her studies so far. Siobhan Hudson came to the Master of Urban Design after completing undergraduate architectural studies in Sydney. We caught up with Siobhan, now in her second year at Melbourne School of Design, to hear about her experiences. Alexia Baikie moved to Melbourne from Launceston to study the Bachelor of Environments and stayed on for the Master of Architecture. We caught up with Alexia to hear about her studies, her passion for health care and education architecture, and her hopes for the future.If you're a future student, you can speak to us at upcoming events, including one-on-one consultations in Tasmania on May 18. Ever since high school Melvin has had his mind set on architecture in pursuing a design career. But a year after coming from Indonesia to study the Bachelor of Design, Melvin decided to add Construction as a second major to his degree. Melvin spoke to us about his experience so far. Penelope Web Gilbert is a second year Bachelor of Design student at the University of Melbourne. She shared with us her family connection to the university and her student experience so far. Master of Landscape Architecture students Iris Fong, Wenjin Wang and Heidi Nurmio completed a three week internship with Tract Consultants, a leading planning & design practice using the professional disciplines of town planning, landscape architecture & urban design. We caught up with Wenjin to chat more about his time there. Three MSD Master of Architecture students volunteered at the biennial Australasian Student Architecture Congress in Sydney in 2017. Rita Liao, Jinwoo Jung and Nathania Widjanarko report back on their highlights. Antonia Besa Lehmann from the University of Melbourne as the winner of the 2018 HASSELL Travelling Scholarship - Robin Edmond Award. Chen Shiting (Hazel) is an international student from China who is currently in her final semester of the Master of Construction Management. We had a chat with Hazel to talk about her studies so far. MSD alumna Elinor Moshe recently featured in Top 100 Women, an initiative celebrating influential women in the construction industry. The Master of Construction Management graduate shared her insights on building her career with the Top 100 Women community. Not all our architecture graduates complete an architecture major in their bachelor degree before starting our masters program. Meet Ariani Anwar, currently employed at John Wardle Architects. She recently completed her Masters of Architecture, following a Bachelor of Arts in Art History and Hispanic Cultural Studies from the University of Melbourne. She is a founding editor of Inflection, the internationally published student-run journal of the Melbourne School of Design. How did Federation Square redefine the city of Melbourne? Listen to Professor Don Bates, the man responsible for its design, in conversation with Professor Alan Pert on Federation Square, the changing face of Melbourne and what the architects of the future will need to succeed. Australian Design Review speaks to Lola Digby-Diercks, a current graduate architect and a past student of the Nightingale Night School at The University of Melbourne. She discusses the studio and what she gained from its teachings. Machining Aesthetics is one of the studio subjects taught in the Master of Architecture and is one of many hands-on making experiences our students use to explore their creativity at the Melbourne School of Design. Our students produce stunning digital designs, making them using our state-of-the-art Fabrication Workshop. They also get to learn how to use robots...! Catherine Duggan (Peter Elliott Architecture + Urban Design) and Michael Roper(Architecture Architecture) teach the Unliveable Berlin studio, which takes masters students to the ANCB Metropolitan Laboratory in Berlin for three weeks of intensive design work. MSD’s program of travelling studio subjects regularly take our students to India. This year Master of Architecture students took a deep dive into Ahmedabad’s famous architectural craft practices. This program of design subjects, which take our students all over the world for intensive experiences of design in other cultures, are only on offer at the University of Melbourne. Associate Professor in Landscape Architecture, Andrew Saniga, talks about his outback studio Terra Oddities and watercolour stunts at dawn. In October 2016, the exhibition Pholiota Unlocked took place in the MSD’s Dulux Gallery. Master of Architecture students built a small house in the gallery space which was knit together by a beautifully unique brick system. This piece is part of a series of interviews and pieces co-produced with the Australian Design Review. Here we speak to Elliot Summers, who graduated from MSD’s Master of Landscape Architecture course in 2012 and has since gone on to establish his own studio, Polygon, via which he has overseen the development of over 40 designs for play centres, residential and public spaces. He also teaches in his field at both Melbourne University and RMIT. This is part of a series of interviews and pieces co-produced by the Australian Design Review and the Melbourne School of Design. Here we speak to Danielle Savio, who graduated from MSD’s Master of Architecture course in 2010 and is now a project coordinator at Brookfield Multiplex. She has recently worked on NAB D2 700 Bourke Street, the University of Melbourne: Faculty of ABP and the Monash Stage 1 Residential Project. In her spare time, she co-runs Gazella, a blog for women in the built environment. This is part of a series of interviews and pieces co-produced by the Australian Design Review and the Melbourne School of Design (MSD). Here we speak to Dr Karen Burns, senior lecturer in Architectural Design at MSD. She is a frequent contributor to academic and professional architectural journals, a critic, and public commentator on issues in contemporary architecture. She is also the co-editor of Parlour, a website building discussion and exchange on women, equity and architecture. Danielle Mileo is a recent graduate of the 300-point Master of Architecture program, which is for students who have studied a prior degree outside the built environment disciplines (career changers), at Melbourne School of Design (MSD). She is an artist and aspiring architect, and travelled to New Zealand in 2016 to install her thesis as part of FESTA – the Festival of Transitional Architecture. Scholarships aren't just for high achievers. The Faculty of Architecture, Building and Planning offers scholarships and awards for many situations. Benefits can include cash prizes, mentoring and discounted accommodation. Through our unique breadth and transdisciplinary focus, we carry out creative, fundamental and applied research projects into the past, present and future of our built and natural environments. Our research makes real and lasting impacts and critically informs the teaching of future generations of practitioners, researchers and designers. Our research directions address the University's three broad research areas: understanding our place and purpose, fostering health and wellbeing, and supporting sustainability and resilience. The Faculty undertakes research that understands how we create and live in cities, landscapes and buildings. Explore our broad range of current and completed research projects. Collaborative groups, research hubs, centres and institutes embedded within the Faculty bring together experts who are internationally recognised leaders in their fields. The Australian Centre for Architectural History, Urban and Cultural Heritage (ACAHUCH) provides an international perspective on research and teaching in architectural history and heritage with a particular emphasis on Australia and the Asia-Pacific. The Australian Urban Research Infrastructure Network (AURIN) is an initiative of the Australian Government under the National Collaborative Research Infrastructure Strategy (NCRIS) and associated programmes. The research group CRIDA engages in digital research and teaching projects as vehicles for critical inquiry and development of innovative design practices at various scales supported by digital media in architecture, urban design, landscape and environmental design. The InfUr- Hub engages in multi-disciplinary research on the informal (self-organized) design and planning of cities - from informal settlements of the Global south to citizen-driven planning in the global North. LEaRN is an international network that brings together academia and industry to research, imagine and discuss physical learning environments in school, vocational, university, medical and corporate contexts. The Melbourne Sustainable Society Institute (MSSI) facilitates and enables research linkages, projects and conversations leading to increased understanding of sustainability and resilience trends, challenges and solutions. A hub for industry-relevant research on design and innovation for sustainable, thriving built environments. Carrying out applied trans-disciplinary research that investigates thriving in cities and develops real world solutions for the built environment. The aim of the Transport, Health and Urban Design Research Hub (THUD) is to explore the effects of urban form and transport on the health of the residents of cities. This project seeks to build partnerships to transform Melbourne’s housing industry, in order to meet social justice, economic resilience and environmental sustainability challenges facing Melbourne and Australia. In the 2015 Excellence in Research in Australia (ERA) assessment, the Faculty of Architecture, Building and Planning received a rating of 5 for both Architecture and Urban and Regional Planning. This rating reflects “evidence of outstanding performance well above world standard”. Information for current students in the Faculty of Architecture, Building and Planning and Melbourne School of Design. Information and links for current Bachelor of Design and Bachelor of Environments students. Information and links for current Melbourne School of Design graduate students. Information for graduate research candidates. Access the FabLab, Robotics Lab, Machine Workshop, NExT Lab, Makerspace, Loan Facility, Printroom and Training Centre. Melbourne School of Design has vast networks, with an alumni community of more than 14,000 people and connections throughout the world. We engage with alumni, donors, industry, government and the wider community, as a voice in public conversations and transforming practice. Your relationship with the Faculty doesn't end when you graduate. Stay connected with a global community of more than 14,000 alumni. Reunions, networking events, alumni lectures and social events are a great way to stay in touch with other alumni and keep up to date with news, events and initiatives. There are many ways you can engage with our students, impact their learning and develop their careers. Support the Faculty and MSD through donations to scholarships, studios and research. Atrium is the official newsletter of the Faculty of Architecture, Building and Planning at the University of Melbourne. Atrium profiles and celebrates ABP’s diverse research and teaching activities, programs, events, staff, students and alumni and examines vital issues related to design and the built environment. 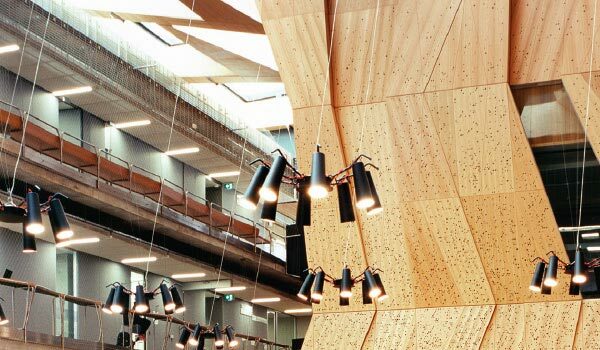 The Faculty of Architecture, Building and Planning, incorporating the Melbourne School of Design (MSD), is a creative and people-oriented built environment faculty in Australia’s leading research-intensive university. We’re passionate about activating the next generation of built environment professionals, providing a world-recognised education which inspires and enables our graduates to create and influence our world. We teach across the built environment fields, making us unique among Australian universities, and part of a select group worldwide. This mix of expertise enables us to prepare our graduates to design solutions for an unpredictable future. Our staff and students are busy visualising exciting and relevant ways of programming our cities. Melbourne, ranked as the world’s most liveable city, is a fantastic city in which to become and be an expert in the built environment fields. Researchers and industry practitioners teach our programs and are leaders in public conversations about our cities and regions, shaping policy development and transforming Australian practice. The Faculty of Architecture, Building and Planning hosts the Bachelor of Design, a comprehensive range of built environment graduate programs, the Melbourne Sustainable Society Institute (MSSI) and Australian Urban Research Infrastructure Network (AURIN). The University of Melbourne established an Architectural Atelier in 1919 and one of the first Bachelor degrees in Architecture in 1927. Our lively culture of exploration manifests in our classrooms, studios and research enquiry, complemented by lectures, forums and exhibitions. Our cultural diversity is one of our strengths: students and staff have come to Melbourne from over 50 countries. We have a strong alumni body who hold leadership roles across Australia and the world. Meet the expert academic and professional staff who work at Faculty of Architecture, Building and Planning. Explore the living learning Melbourne School of Design building, learn about the construction process and book spaces. 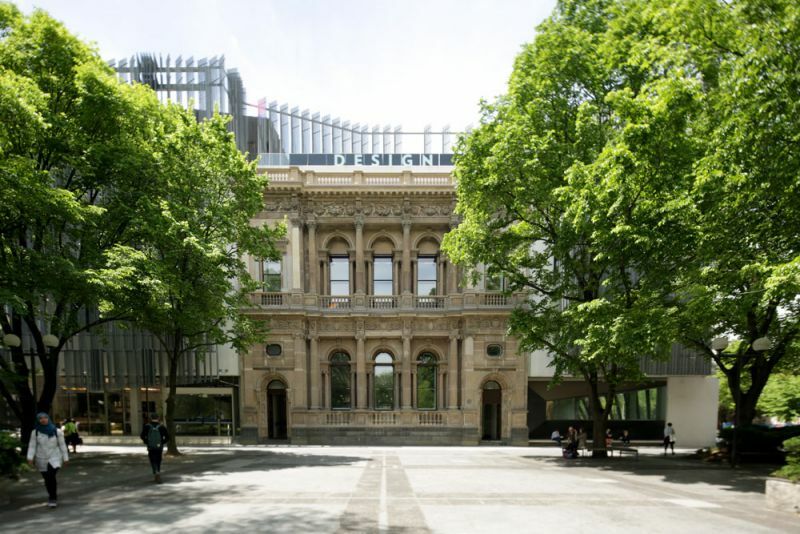 A brief history of architectural teaching at University of Melbourne, the growth of the Faculty, and the construction of the Melbourne School of Design building. We strive to develop imaginative, thoughtful, critical yet industrious students, complete with the appropriate skills to improve the quality of our built environment, addressing complex questions through a synthesis across disciplines. Our Dean, Professor Julie Willis, is supported by a leadership team, governance and advisory boards and program coordinators.